1. Welcome to Weaning Wisdom Wednesdays Kim. Please start by introducing yourself and family. Hi! I am Kimberly, the voice behind OddHogg. I live in Aberdeen with my husband and our 1 year old son, Piglet. I’m not really sure what you would call our method. I guess it was a bit of traditional and a bit of combination. We just seemed to muddle our way through it. I started weaning Piglet at 20 weeks. This is a lot earlier than the current guidelines, but it was done with guidance from my health visitor and GP. Piglet struggled with low weight gain from birth, and wasn’t the big fat baby I expected him to be. The healthcare professionals decided he needed solid food to boost his weight gain. I was very wary starting weaning so early, and I decided from the start that if Piglet didn’t take to it straight away that I would stop and wait until 6 months before trying again. I needn’t have worried. From the very first mouthful Piglet loved food. I gave him purees or mashed at first, and of foods with good nutritional value like sweet potato and butternut squash. 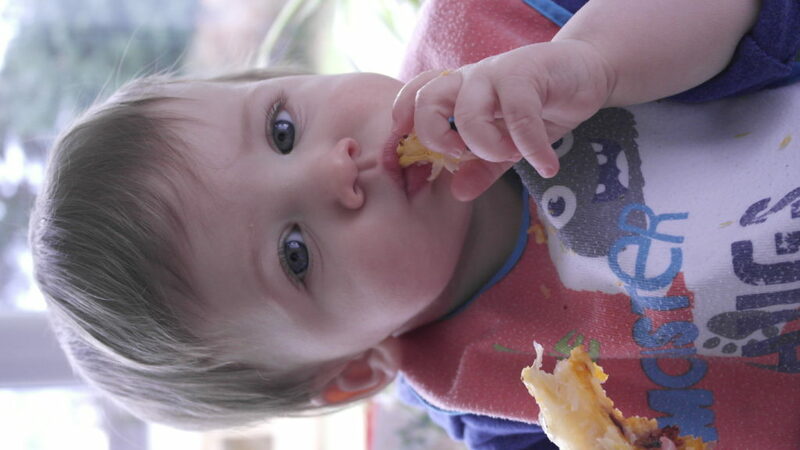 About 1 month in I introduced some finger foods, as by this point his head control was much better. I was cautious to make sure that prior to 6 months milk was still his main source of nutrition and that the food was supplementary to it. As he got older we started having picnic lunches, and now Piglet is great at feeding himself. He eats with a pre loaded spoon about half the time, or eats finger food. He is a fantastic little eater and we’ve been so lucky. 5. What food did baby love and what was their favourite food? He’s a bit of a dustbin and will eat pretty much anything. He goes mad for fruit, but can be a little funny about particularly slimy things like kiwi or banana. His favourite is probably tortilla pizzas and has been for a while, or keema and rice from the flavour led weaning cookbook. 6. What sort of food did baby eat when you are out and about? Prior to 6 months I wouldn’t take food out and about with me, I would just breastfeed Piglet if he was hungry. Once he got older I would take some finger food, like a pea and sweetcorn fritter, out with me for him to pick at and then let him eat off of my plate. If I wasn’t having something suitable then I sometimes order him some macaroni cheese as I know he always loves it. 7. What is your opinion on offering baby fast food? I’m hoping this isn’t referring to McDonalds or KFC? If it is then I’m completely against it. There’s just no need! If you mean things like pre-prepared food such as pouches then that’s a whole different story! I am not against them at all. I choose to cook Piglet’s food fresh at home and then freeze it in portions. I take pouches of fruit out with me now to give as dessert or emergency snacks. I tried to give Piglet some pouches but he was having none of it. I think the texture was just too smooth compared to what he was used to. He likes to be awkward! 8. 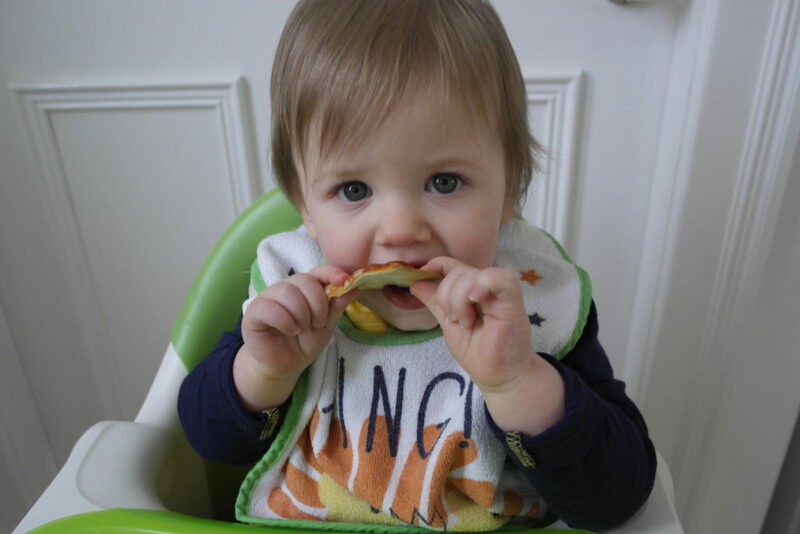 What was the most challenging aspect of your weaning journey? I think it was a holiday we had in October. We were in an all inclusive hotel and Piglet was 7 months old. He refused to eat the food pouches I brought for him, and didn’t want the hotel food either. He lived off tangerines and yoghurt for a week, as well as a load of breast milk. 9. Have you ever received any criticism for your weaning choices? No. I really expected a lot of criticism for starting weaning so early, and I do automatically get on the defensive when I say what age we started. But honestly no-one seems to care what we did! I am a big meal planner, so it was natural to start doing that for Piglet too. I do it to make sure I keep some variety in his diet and so he doesn’t get bored of his food options. 11. What tools did you buy that were invaluable? I have some munchkin spoons that change to white when the food is too hot – it makes my life a lot easier! 12. If you were to do it all again, what would you do differently? I don’t think I’d change it. I would have liked to wait until 6 months to give him food, but it was done early for the right reasons. It’s been a relatively smooth transition for us. 13. 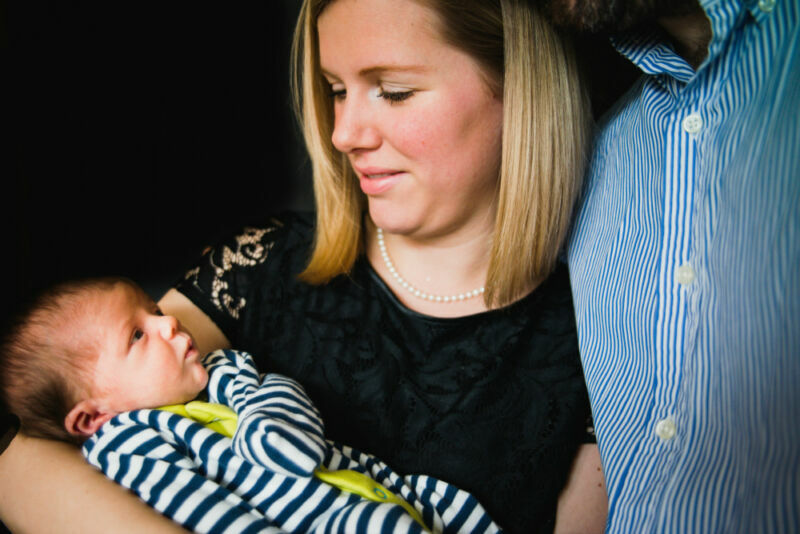 If you could give one piece of advice to new Mums who are about to start weaning, what would it be? Don’t stress about it. Take it easy and offer food consistently, even if baby doesn’t much – or any at all. They’ll have some eventually! You can read previous installments of the series here. I really need to try some of that Munchkin White Hot cutlery, it sounds so good! Oh and the tortilla pizzas, we need a meal refresh in this house so we’ll be giving those a go.